Description PSD is a default format for Adobe Photoshop which contains raster graphics in multi-layer structure. Together with PSB format it is the only one that supports all features of Photoshop software. 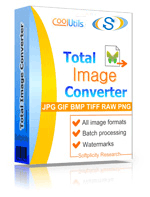 All programs from Adobe package can easily and correctly import PSD files. Thanks to RLE compression the image data is compressed losslessly. Transparency and semitransparency are also supported. PSD downsides are big file size. Format is proprietary that limits the support by third-party programs.